Crispin Halsall is a Professor in environmental organic chemistry at Lancaster Environment Centre (LEC), Lancaster University. His research expertise is in investigating the environmental fate and impact of synthetic organic chemicals, particularly persistent organic pollutants. He has worked extensively with Canadian and Norwegian researchers understanding the sources of these chemicals, their long-range transport and fate in the Arctic. The environmental cycling of these chemicals and their accumulation in snow and ice are of a particular interest in a ‘warmer’ Arctic and research in this area will feed into the Arctic Monitoring Assessment Programme (AMAP). 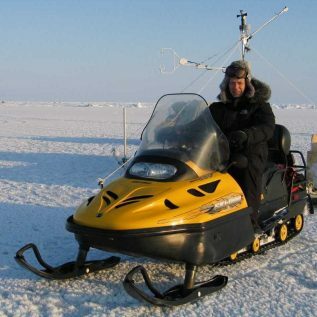 Crispin is the co-lead investigator of EISPAC and will investigate the fate of organic pollutants in the sea ice system through both field and laboratory-based studies.